If you ever get insane cravings for Mexican food, like I do, these Pork Verde Tacos will make you so happy! 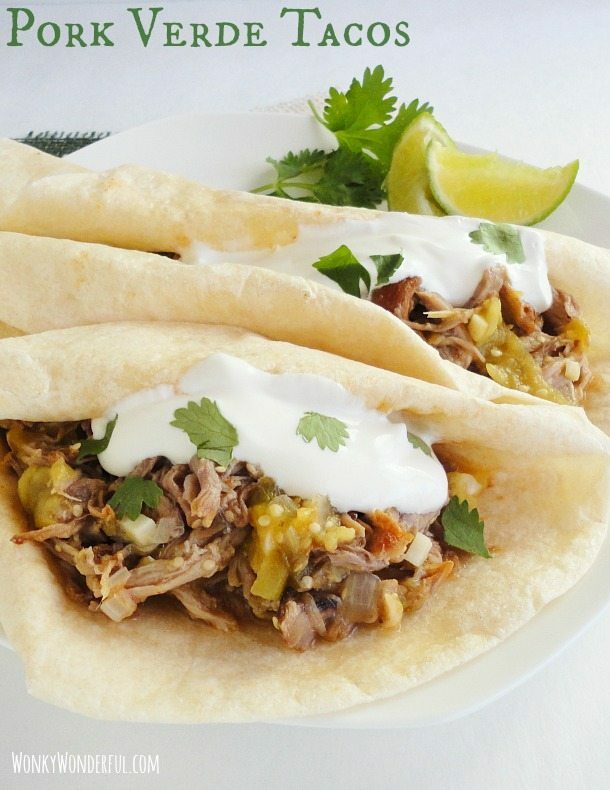 Warm buttery tortillas filled with tender shredded pork that has been drenched with tangy tomatillo sauce. Top that with cool sour cream, fresh cilantro and a spritz of lime and call it Dinner! Don’t forget to save a wedge of lime for your frosty ice cold beer. Here in California we have so many excellent authentic Mexican food restaurants. But, I’m too cheap to eat out often and I prefer to have control over the ingredients used to make the meal. There is a reason restaurant food tastes so delicious, or three reasons to be exact . . . Lard, Salt and Cheese! Once you start making your own restaurant copycat dishes you will notice how much better you feel after eating the homemade versions. The food is so much lighter and doesn’t leave you feeling like there is a brick in your stomach. This verde sauce is made simply with tomatillos. If you have never cooked with tomatillos they are actually very easy to prepare. When choosing which tomatillos to purchase; make sure they are firm, green and still covered by the husk. When prepping your tomatillos, remove the husks and wash off the strange sticky film that covers the outside. I used the leftover pork from my Slow Cooker Apple Barbeque Pulled Pork recipe. You can check out that recipe or cook whatever type of meat you prefer. 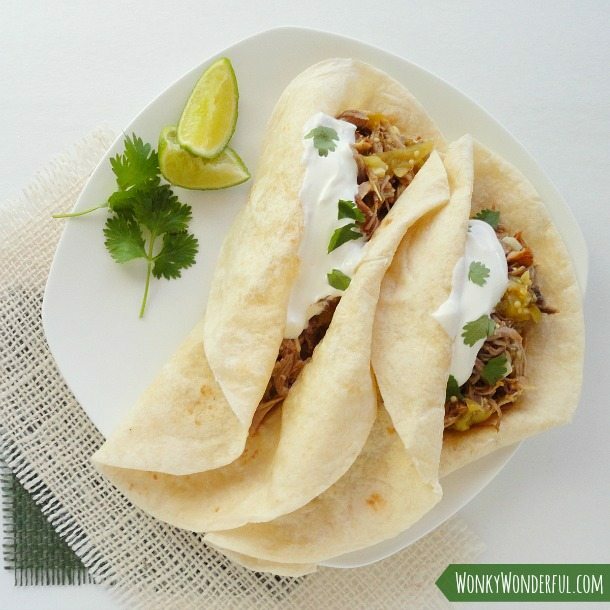 Shredded chicken would be delicious in these tacos! This meaty verde sauce would taste great over rice too! Remove husks and clean the tomatillos. Transfer to medium saucepan and add 1/2 cup of water. Cook on medium heat until a fork can be easily inserted (about 10-15 minutes). Turn tomatillos once while cooking. 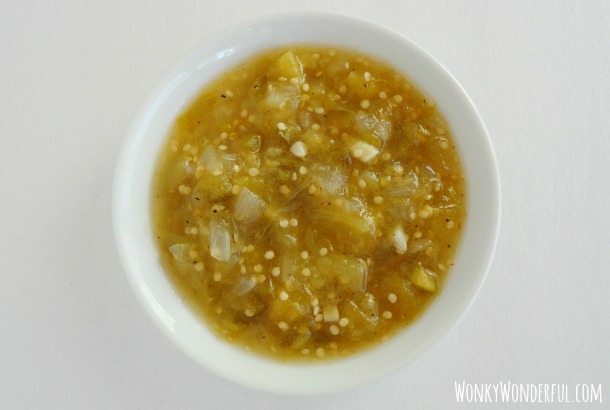 Once tomatillos are cooked, transfer to blender or food processor and puree (Carefully!). Return to saucepan and add the jalapeno, onion, lime juice, garlic, salt, pepper, cumin and chili powder. Simmer on medium-low heat 15-20 minutes stirring occasionally. Add the shredded pork to the verde sauce and reheat in the sauce if necessary. Now fill each tortilla with the verde sauce meat then add the toppings you like. Enjoy! Use pork, chicken or beef. Chopped, shredded or sliced. Your preference. This recipe makes about 8-10 tacos, but it depends how much meat you stuff into each taco. I love tomatillos!!! And pork verde is one of my most favorite foods Nicole! I should be living in your neck of the woods! Love pork verde! 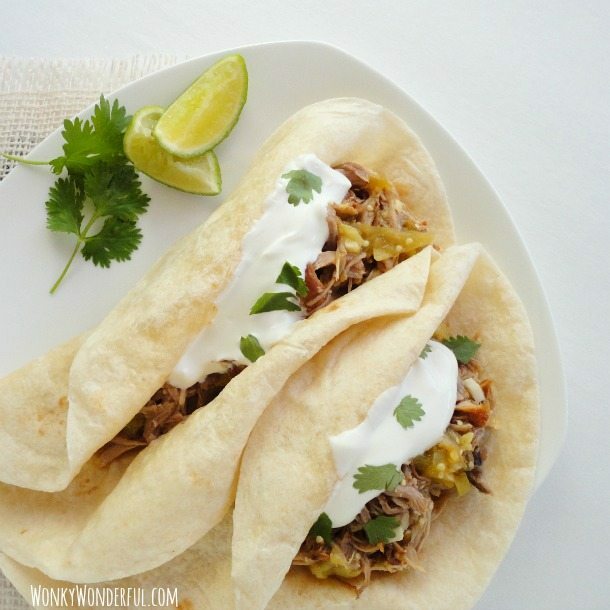 The next pork roast I get is going to get turned into these tacos! Thanks Heather! Pork Verde Tacos are one of my favorite meals. Have a wonderful weekend! Homemade verde sauce is so much tastier than the canned sauce! Thanks for stopping by, have a wonderful week! If there is one motto I live by, it’s this: no matter how full you are, there is always room for one more taco. Am I right? And pork tacos with salsa verde? … totally my favorite. Such a great combo. I actually posted a Carnitas Taco with Roasted Tomatillo Salsa and Pickled Onions back in April. Pork Verde Tacos are my favorite too. Unfortunately I live by the same motto and end up laying on the couch with a belly full of tacos every time I make them! I will definitely be checking out your Taco Recipe … it sounds delicious! You know, I’m not a huge fan of pork but these look delicious and I’d sure eat one! Pinned and sharing on Facebook! Oh these look delicious! 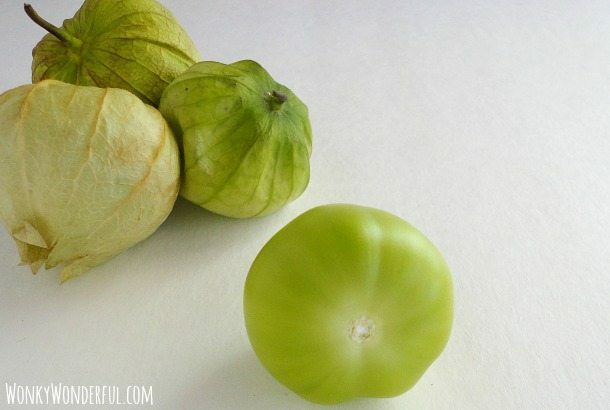 I have not used tomatillos before, but this recipes has inspired me to try! Thanks for sharing! PS, I found you via Thursday’s treasures linky! Thanks Amber! I hope you do try tomatillos. They make a very flavorful sauce. Have a wonderful weekend! Amen to the Lard, Salt, and Cheese. Down here in Texas, we are the Tex-Mex Kings and let me tell you! You can taste a huge difference… namely a SALT difference. I love making my own food at home.. so much better. Definitely pinning this! Agreed! Before I started making all of my favorites at home I just didn’t know what I was missing! Homemade tastes so much better. Have a beautiful week, Krista! Yum. These look amazing! And those tortillas look so good too for some reason! 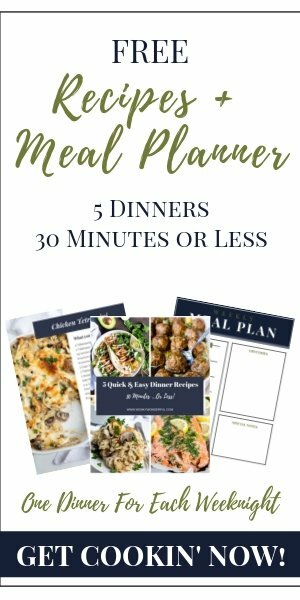 I would LOVE for you to share this over at my link party, Ginger Jamboree! I also have a great giveaway going on that you should enter!